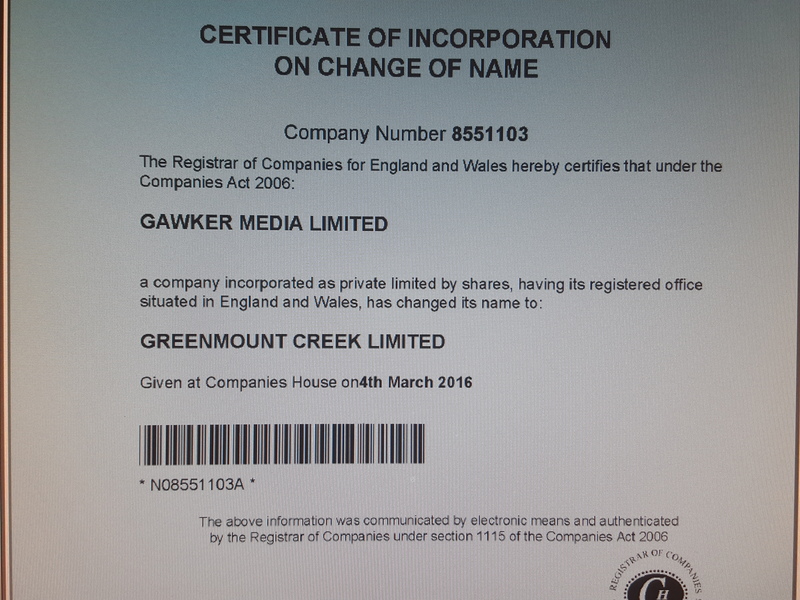 Gawker Media changed its corporate name in the UK on March 4th, very quietly. They’re now known as Greenmount Creek Ltd. The executive directors are not Nick Denton, but his sister Eva Rebecca Denton and Mr Adrian Wilhelm Weinbrecht, a London based photographer. Additionally, as of 8:30am, 1:35pm, since last night’s jury decision of $115 million in the Hulk Hogan case, none of the Gawker sites have updated any news or posted a recap of what’s happened. Only Deadspin reported on NCAA basketball at 1am Eastern. Gawker has actually posted two dull items this morning. Exclusive: Woody Allen's Cannes Bound New Comedy is Called "Cafe Society"
Friday Box Office: "Allegiant" Weekend $20 Mil Lower than Previous Chapters of "Divergent"